The transition to project-based learning is a daunting proposition for many teachers, but we often overlook that this style of learning, which relies on big ideas, collaboration, and student self-direction, can also be a big leap for learners. Assuming that students already have the skills they need to succeed as soon as you implement PBL is likely to leave everyone frustrated. A project-based approach to learning is a great way to engage students in high-level, curriculum-focused learning, providing contexts in which students master content while also honing 21st-century life skills such as teamwork, learning to monitor and evaluate progress, and thinking critically instead of simply following directions. I am an ardent proponent of jumping in and learning by doing, but running headlong into a project without providing the requisite skills can frustrate learners. Be sure to evaluate whether skill-building is needed before you implement PBL to ensure students have the tools they need to thrive in a PBL environment. Collaboration isn't easy. In fact, it is often regarded as one of the most difficult aspects of great PBL. PBL should engage students with a project that matters. Having learners work on tasks they care about helps ensure engagement, but it also increases the likelihood of interpersonal conflict. A project will sour quickly if students feel that not all team members are on board or if the project doesn't go exactly as planned. Middle- and high-school students (and, let's face it, most adults!) don't yet understand the subtleties of their own motivations and interpersonal skills, so it's not realistic to expect that they will intrinsically understand how to get the most out of their teammates. This can result in anxiety and awkwardness when working in a group, which is the fundamental reason that many people (not just students) hate to work collaboratively. Team-building exercises are designed to get groups of people to rely on one another, help them see the value in working together, to get the most out of each individual, and to model strategies to help ensure success during collaboration. Focus on activities that require teamwork to accomplish a task, such as the Balloon Line Race. Have teams of equal numbers of students form a line. Place a balloon between each person in both lines, and have them teams race from one location to another. The team that arrives first, with all of their balloons still in place, wins. Focus on activities that require and reward creative thinking, such as the Birthday Line Up. In this quick activity, the whole class or small teams must line up in order of their birthdays...without talking! It usually doesn't take long for someone to start writing, using fingers to indicate months, or even singing! If your goal is to teach students to fail forward, consider the Marshmallow Challenge. Pass out sticks of spaghetti, tape, string, and one marshmallow per student to see who can build the tallest tower in the allotted time. Research shows that Kindergarten students do this best, since they start building immediately, fail and then try again based on what they have learned. Adults tend to discuss, plan, and overthink the perfect solution, which invariably fails and leaves them too little time to try again. 2. Develop norms for group work. To create a full foundation for this task, ask students to turn in a list of three behaviors they consider crucial to team success as they leave the room or as homework. Use these lists as the basis for a discussion the next day. Alternatively, ask them to name one thing they hate about group work Use this list as the foundation for discussions around group behaviors that will prevent these problems, such as taking risks, listening, and sharing ideas freely. 3. Practice asking and discussing open-ended questions. Many students feel that the focus of education is simply knowing the right answer. The focus of PBL isn't on being able to correct answer a single question; rather, project-based learning encourages asking many questions and exploring innumerable potential answers. It may surprise you to learn that PBL is usually most difficult for the high achievers in your classroom. Students who are driven to always have the “right” answer may be frustrated by questions that have many potentially correct answers, some of which may even contradict others. Work to familiarize your students with this aspect of PBL by making it a habit to ask open-ended questions and by providing time and space to explore questions together. Blogger Rachel Lynette has a great list of 20 open-ended questions you can ask students that don't necessarily have a curriculum focus. For example, “What is the hardest thing about being a kid?” Because they aren't obviously tied to curriculum, these questions may be a good place to start. Students aren't shy about sharing their opinions, especially when there is no academic risk. As we consider project-based learning, it's worth reflecting back on the higher-order thinking skills in Bloom's Taxonomy. When we look at verbs like describe, apply, analyze, evaluation, and create, it becomes easier to formulate open-ended questions that begin with words like organize, generalize, connect, arrange, and rank. 4. Build skills and establish routines for project work. Even if you haven't implemented PBL in your classroom before, you will find that most students have completed a long-term project or performance task. At the beginning of the year, come up with opportunities to practice brainstorming and set goals. Develop routines for storing work-in-progress and procedures for check-ins to monitor progress. Ask students to provide feedback on the success of a lesson you have implemented with them. Ask for more than one word answers and “I liked it” or “I didn't like, it.” What could you have done differently to make it more effective? 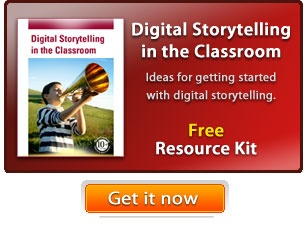 This can provide opportunities for your students to evaluate content, delivery, and process. 5. Build awareness of resources and possibilities. As you and your students grow in project-based learning, the tasks and problems will become more complex and diverse. Work together to brainstorm and develop a list of ways they can share their learning and artifacts they can produce to solve a problem. Work to provide students with a range of experiences creating and communicating through different media forms and products. You may find it helpful to focus shorter activities and tasks on a single product, such as a poster, to give students experience with one approach for raising awareness they may choose to use in a future project. If you have access to technology tools, consider creating movies, presentations, printed brochures, and other media resources to provide students with examples and experiences they can draw on when the time comes for them to decide how best to solve a problem and present their learning. Learn to forgive yourself, and teach this skill to your students. PBL is a journey, not a destination. Learning through PBL is messy, and sometimes it's uncomfortable. Don't focus on failures. Think about what you are learning and what IS working. Learning what didn't work is still progress. Embrace where you are in the journey right now. This allows you to see your progress and helps you make changes that will benefit your bright future with project-based learning.